Based on feedback from the community, the RCA asked the Montgomery County Department of Transportation to consider removing the “hot right” from Boiling Brook Parkway on to Schuylkill Road. 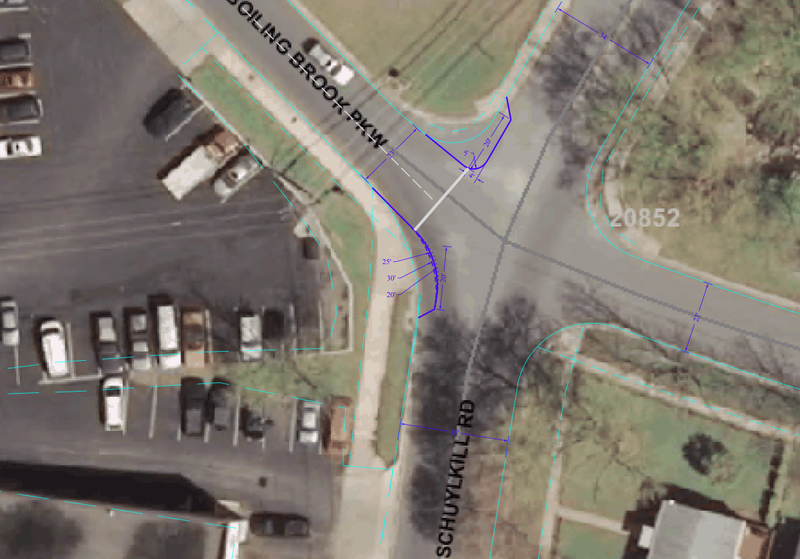 This intersection is dangerous for pedestrians and the changes are aimed at calming traffic and improving pedestrian safety. Please share your feedback with me privately at chad@randolphcivic.org or with the community on our Yahoo Group.